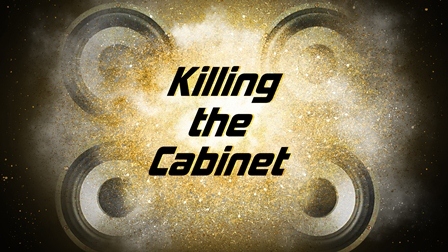 Interview done by Matt Downes and Aurora Cowen of Killing the Cabinet with Robert DeLong. Are you religiously spiritual or scientifically religious? RD: I would say that I am scientifically non-religious, maybe…hopefully that is vague enough. “Basically, I” seems to elude the idea that you are searching for it all, the truth, the answers to everything. Hypothetically, would you, if you could, be transported to another realm or dimension to explore the infinite universe? RD: I would of course be transported to another realm or dimension if I had the option – that sounds fun! But really, the universe offers much more to explore than any one person could in a lifetime, so I am content to be in this dimension. Does your record convey a different message than your live show? 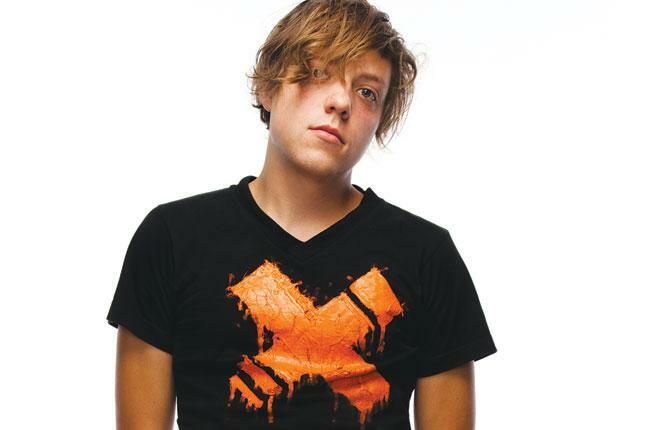 What is the Truth Movement as it relates to Robert DeLong? RD: I think the live show is certainly a more high energy physical interpretation of the songs on the record that focuses more on the “Movement” side of “Just Movement“. Truth Movement to me is the concept that anything can be made from anything, and that one can learn to enjoy any art that they have a response to, regardless of genre or lack thereof. What’s more important – the lyrics or the composition of the songs and your multi-instrument set up? RD: To me the lyrics are tied to the compositional elements – the multi-instrument setup is sort of a vessel for the songs that lends a certain perspective to their interpretation. I think the songs would still work in a different context, but they would certainly feel like they mean something different. What do you hope to inspire in your listeners as an overall message? RD: I hope that people walk away from a listening of the album with some sort of positive feeling in their stomach and a sense of existential solace, and most importantly, that they feel inspired to make something themselves. Do you view Logic as an instrument in your arsenal? RD: Logic certainly determines the way I compose and perform music, so in that sense it is an instrument, but it is more like an organizing system for accessing instruments in my mind. We’ve seen you use sega and Wii remotes. Have you added any new controllers to your live show? Do you use a Smartphone at all? RD: I use a gamepad, Wii-mote, and joystick in the show. I haven’t added a smartphone or any other game-related hardware in a bit, but all things are possible, with time. What are you most looking forward to in 2013? Is there a specific show, festival, party or milestone event that you are most excited about? RD: Everything is really new and exciting – each show has it’s own exciting elements, however, I think Governor’s Ball has a great line-up. You’ve shared the bill with some pretty established and talented artists so far in your young career. What recent artist (new, young, current) has had impact on your life and sound. RD: Every time I play with an established act and get to catch their set I always come away with some sort of new performance idea. That being said, a recent artist I have been listening to is “Lucy,” though it remains to be seen if any of his ideas are sneaking into my music. There’s a picture of you and your mom the moment you first heard “Global Concepts” on 107.7 The End, a station you grew up listening to. Soon after, you were featured on KROQ, and just recently on KCRW as “Today’s Top Tune”. Did each of these moments have an equally symbolic feeling? RD: It has been exciting and more than a little surreal to be getting radio play, however, I think hearing my song on 107.7 The End was the most symbolic moment to me, given that I grew up in Seattle listening to that station.